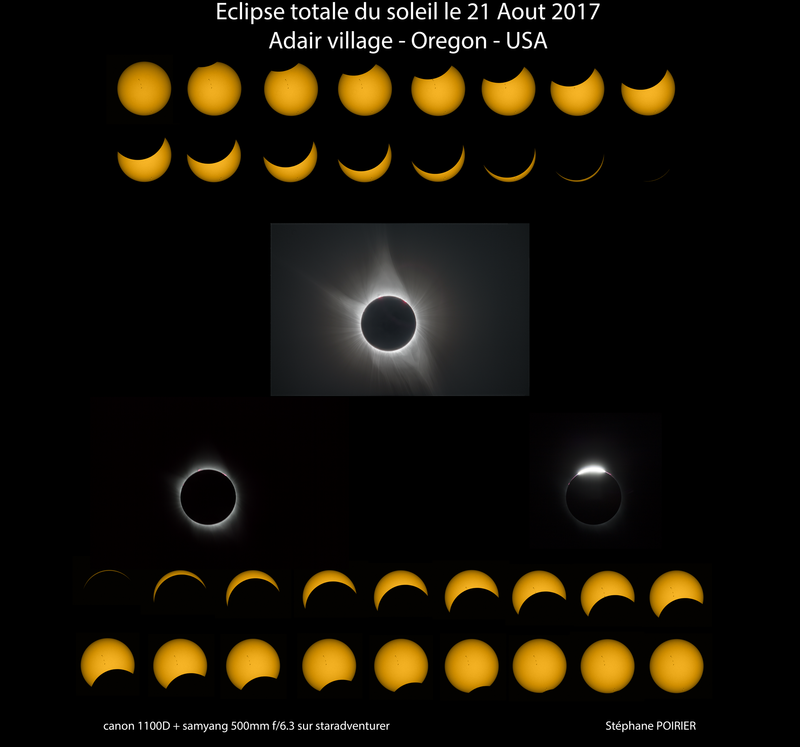 A frenchman in Oregon for the eclipse - SolarChat! 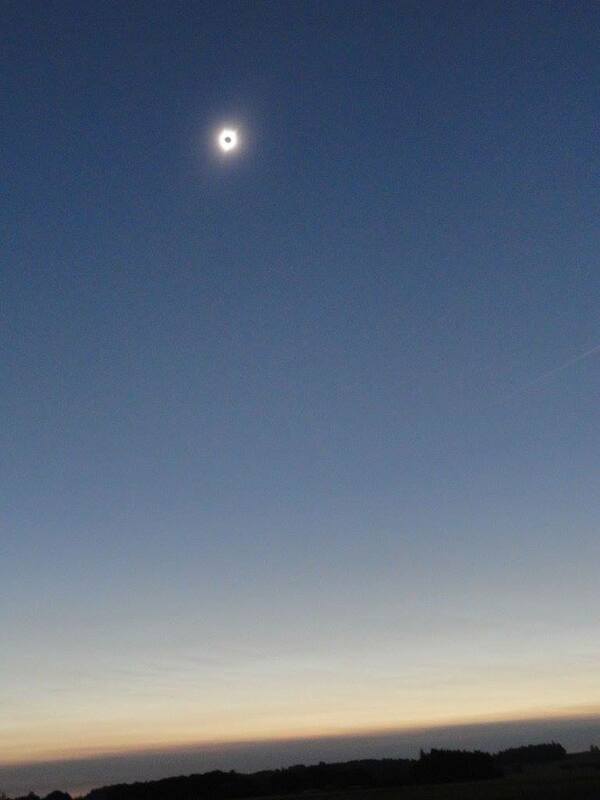 Like some of my compatriots, I made the trip to the United States to observe this total eclipse of the sun (and incidentally do a 15 days road trip for a little tourism. https://www.google.com/maps/d/viewer?mi ... 999997&z=4 ). 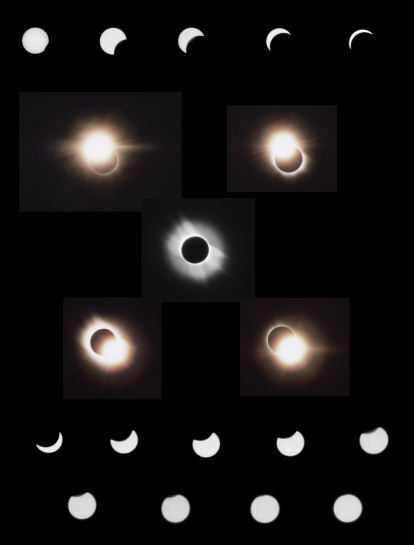 For my part, the material that will be used to immortalize the event was a small compact Canon on such a small tripod in video mode for a film of the totality; and the 1100D Canon equipped with a samyang 500mm f/6.3 lens on a staradventurer (plus an astrosolar filter for partial phases) for close-ups. 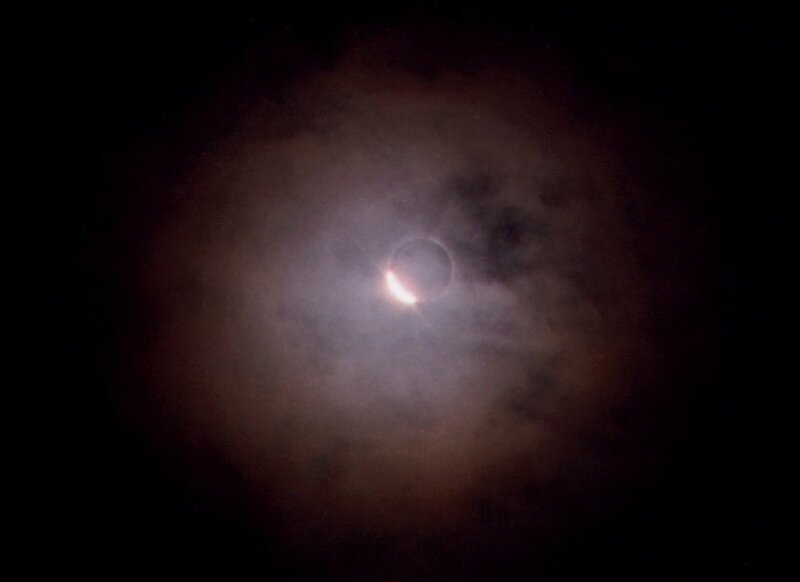 for partial phases, I made a series of 10 takes at 1/4000s to 200iso every 15min. For the totality, I had installed Magic Lantern on the 1100D to have a good amplitude in the bracketing: 7 series of 12 poses between 1/4000s and 1/2s in 200iso too. On the manipulation side, just before the totality, I started shooting the shot on the small barrel; then passed in bracketing mode on the 1100D and then the remote control in the right hand with the finger left pressed on it, the pair of binoculars in the left hand to observe the protruberances (just magnificent... ) and the eyes turned towards the sky so as not to lose a crumb: the photos and the visual at the same time, a well optimized eclipse! the image of the entire compisition is an HDR (with photomatix) of the series of 12 poses taken in the middle of the event. The poses are aligned with the moon. 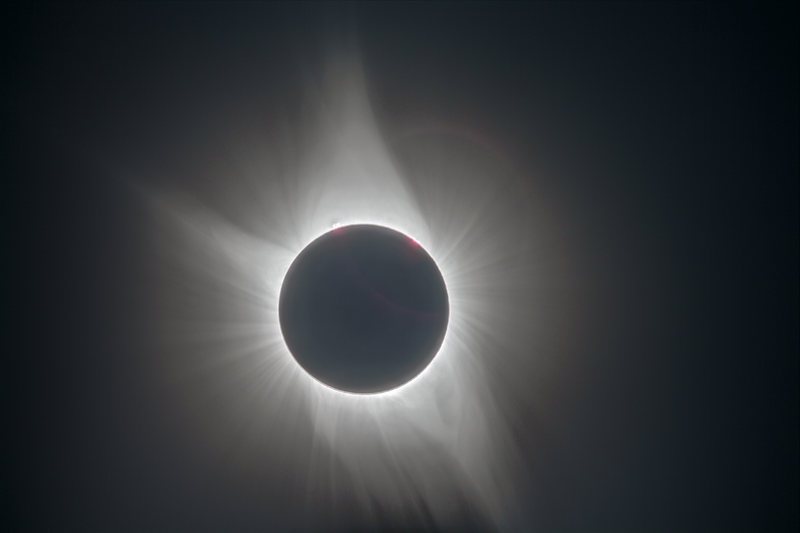 Of course, with all this, I found myself with 44 images between the beginning and the end of the eclipse, which allows me to make a nice little movie! The totality part is done with the 7 HDR images from the 7 series of 12 poses. 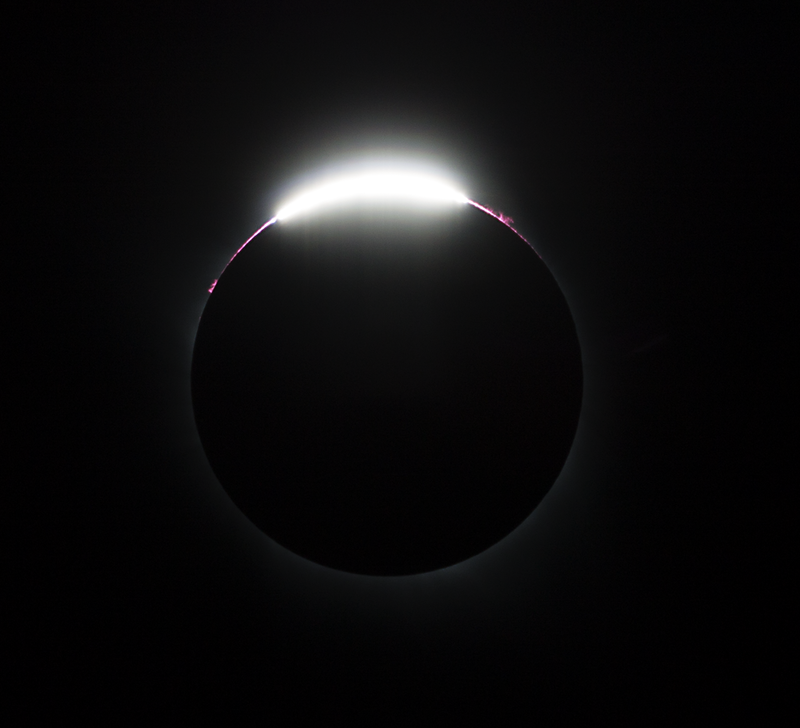 I did on purpose to slow it down a lot, it makes it possible to get closer to the feeling of waiting during partial phases (which lasts 1 hour) before the apotheosis of the totality! with, of course, the sound ambience that goes with it! Last edited by stef41 on Mon Feb 26, 2018 2:51 pm, edited 1 time in total. Well executed Stefane! Please tell me this was not your first. No, it wasn't my first total eclipse, but it was my first in digital! but also the one of 2006 since turkey. Great record of the event thanks for sharing. 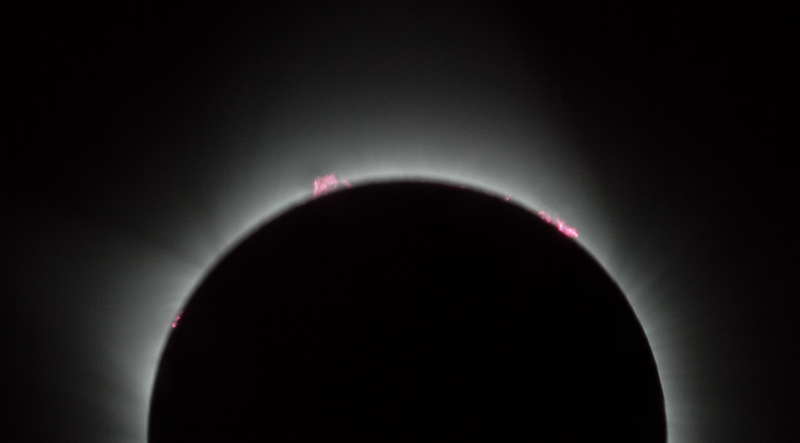 Nice images and record of the event.